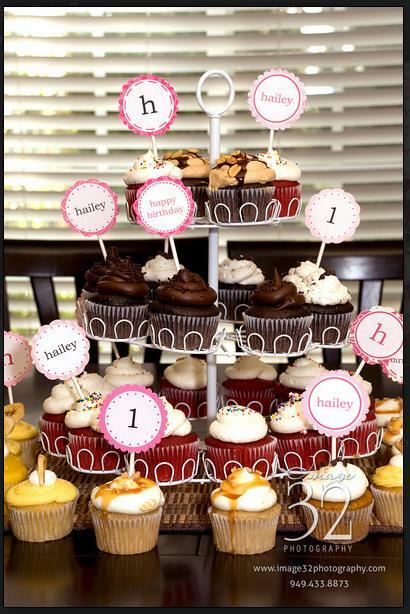 For my niece’s first birthday, my sister is ordering three dozen fancy cupcakes so that means cupcake toppers. 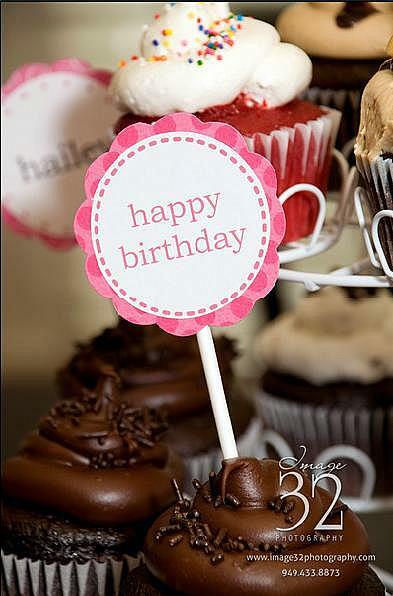 Start by creating the cupcake topper designs in Microsoft Visio/Word or whatever application you prefer. My circles have a diameter of about 1 4/5 inches but I recommend making them smaller—less than 1 ½ inches. 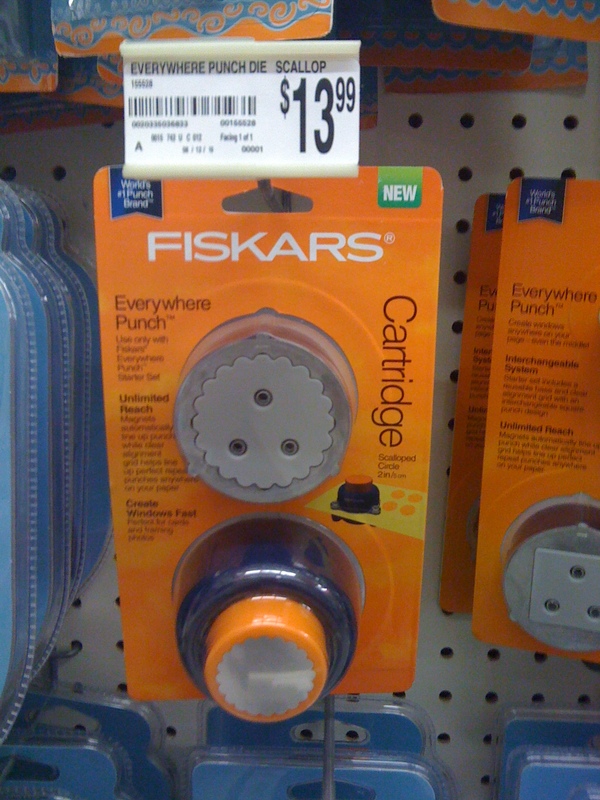 If you want to invest in one, check for 40% off coupons in the weekly ads from your local craft stores. I didn’t think I would use the punch again so I went with scrapbooking scissors I already owned. 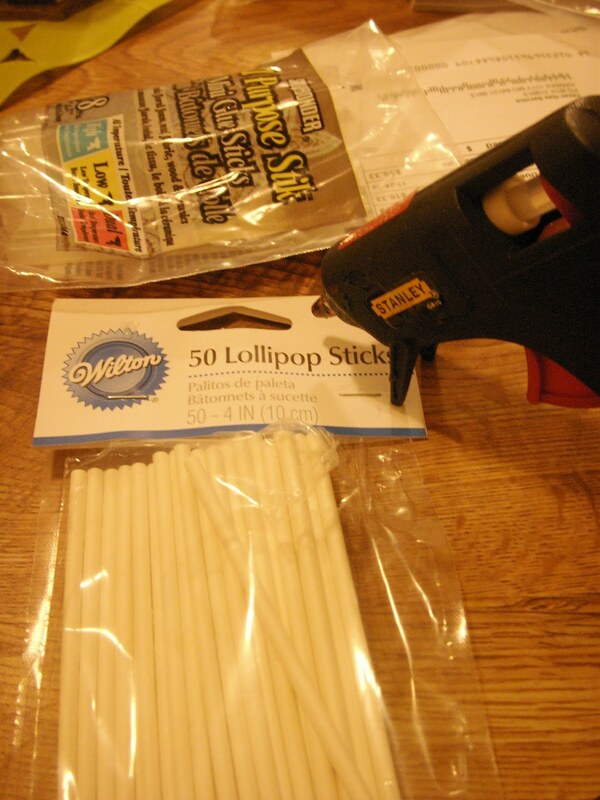 Heat the hot glue gun and attach the back of each topper to a lollipop stick. Let cool. This is an easy project that you can modify to your tastes (e.g. using different shapes, placing the stick between the design and cardstock, making smaller toppers on toothpicks). Enjoy! This entry was posted in Babies/Kids, Birthdays, Crafts, Decorations and tagged Birthday, Cupcake Topper, Decorations. Bookmark the permalink. all your projects make me want to have another wedding! But then I read the steps and I know how much work you’ve put into them and realize I don’t want to have another wedding. haha.